You may be thinking “What’s Bilbao got to do with the Thames?” Well, the development of the Guggenheim has become the blue print for regeneration schemes. 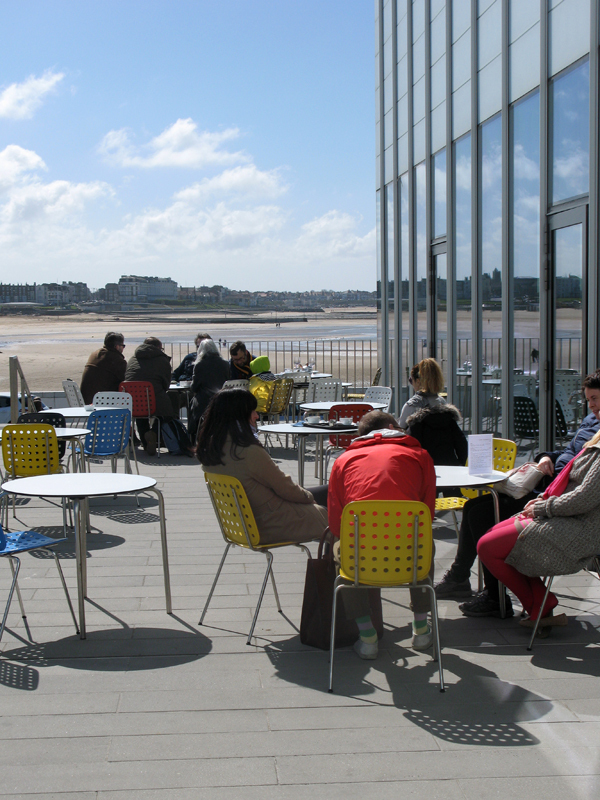 Just think of the Turner Contemporary at Margate. It doesn’t need to be an art gallery it just needs to be an iconic photogenic building; think of The Millennium Dome (now the 02). So, during my recent holiday in Spain I paid a visit. I arrived in Bilbao on the last night of the Aste Nagusia (Big Week) festival which is a nine day event celebrating the Basque culture, held at the end of August. 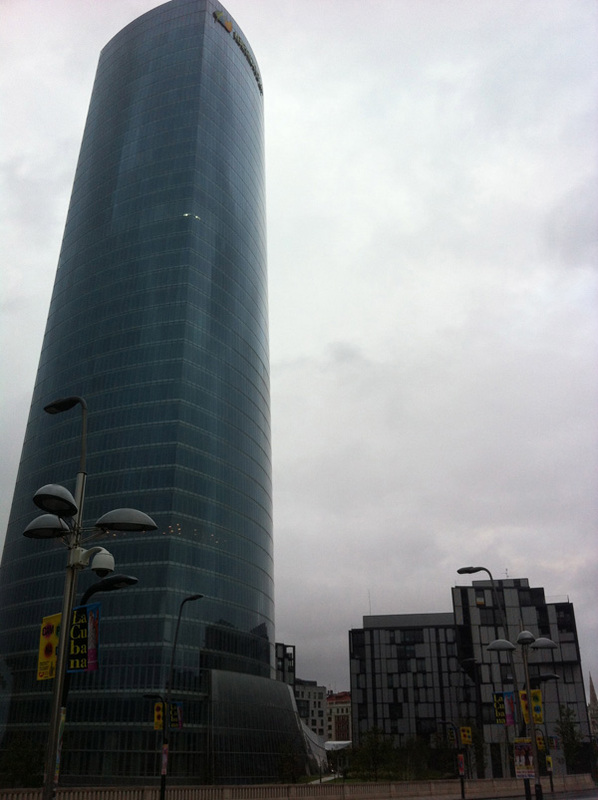 All along the banks of the Nervion River there were arcades, fun fairs and street theatre. Even the rain couldn’t deter the promenaders, the place was heaving. The scene was reminiscent of those films of Blackpool’s Golden Mile in its heyday. 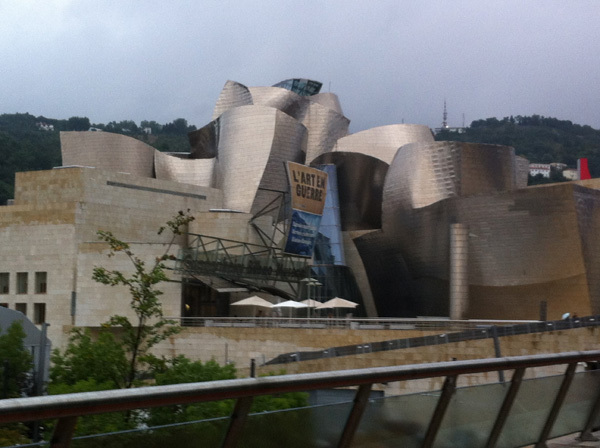 The transformation of Bilbao from an industrial port to a tourist destination was made possible by the building of Frank Gehry’s Guggenheim Museum. The museum is sited on the banks of the Nevrion and close to La Salve Bridge. The bridge appears to be an integral part of the structure although it was built earlier in the 1970s. Lauded as one of the greatest architectural achievements of our time it would take a brave soul to blaspheme about it. There is much, such as the atrium, that holds the viewer in awe. However, with only one third of the space given over to galleries, it’s style over function. Traditional conventions such as the width of steps have been abandoned. They may look aesthetically pleasing but most people found their navigation treacherous. The function is neither public space nor art gallery but this doesn’t appear to matter as it has been a remarkable success. 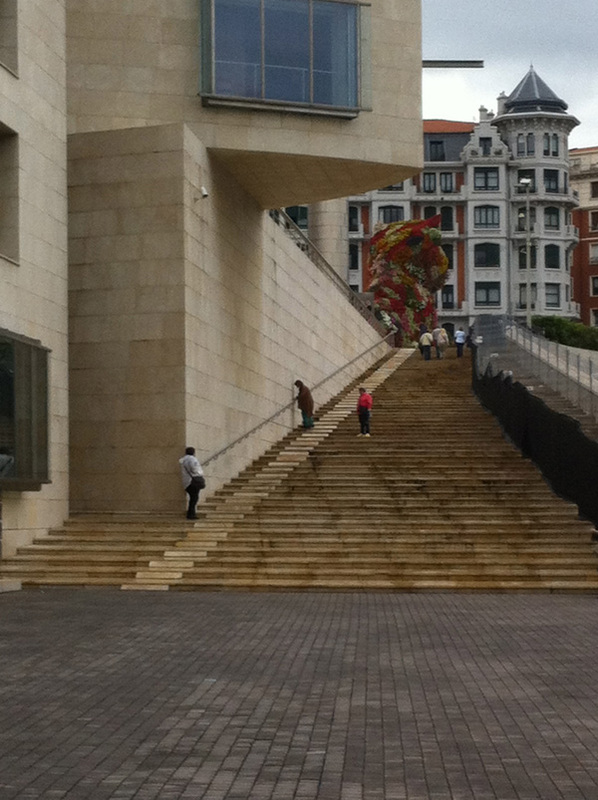 Walking through Bilbao you can see some vibrant public spaces and an elegant mix of buildings. The refurbished market hall is well worth visiting and on display is a range of produce that we normally only see in Harrod’s Food Hall. The Guggenheim largely ignores this context and is not a magnate for the local community. In fact, there were relatively few tourists inside the building. It is, however, not without influence and has spawned some new buildings that have a similar aversion to the right angle.